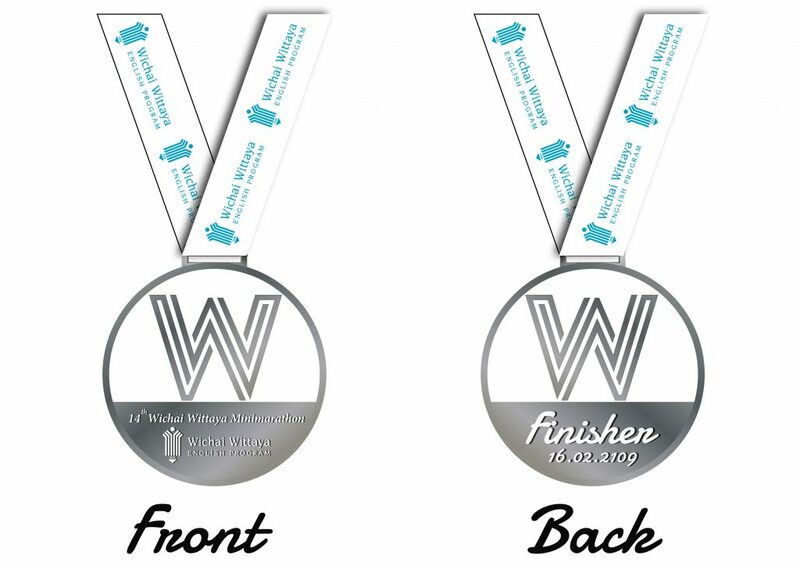 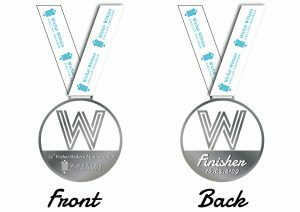 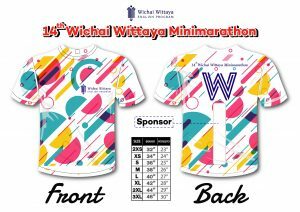 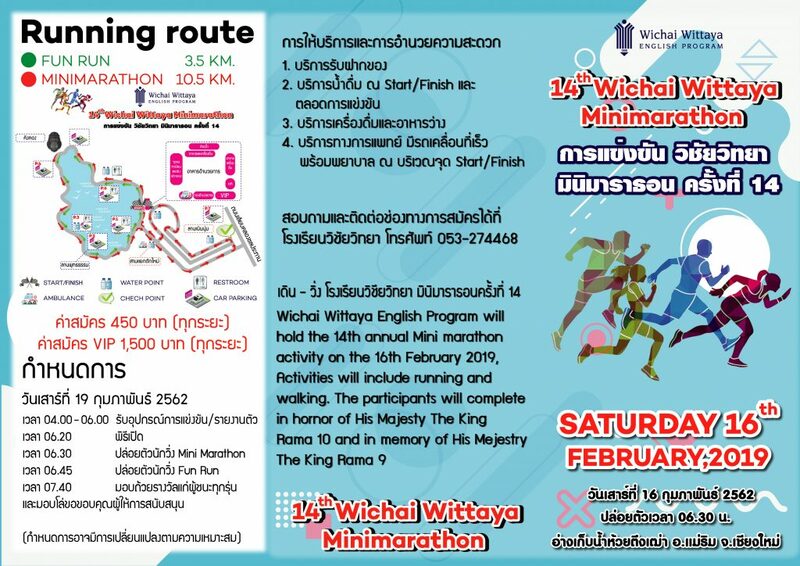 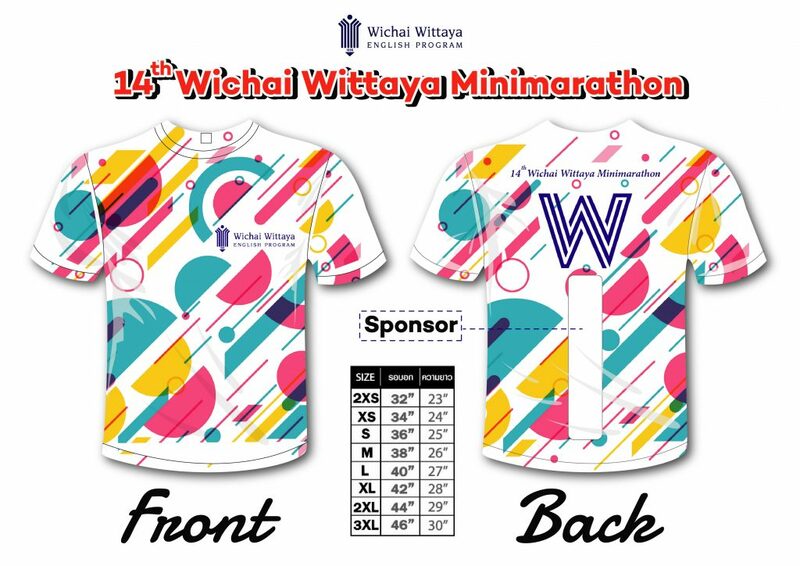 Wichai Wittaya English Program will hold its 14th Annual Mini-Marathon on February 16, 2019. 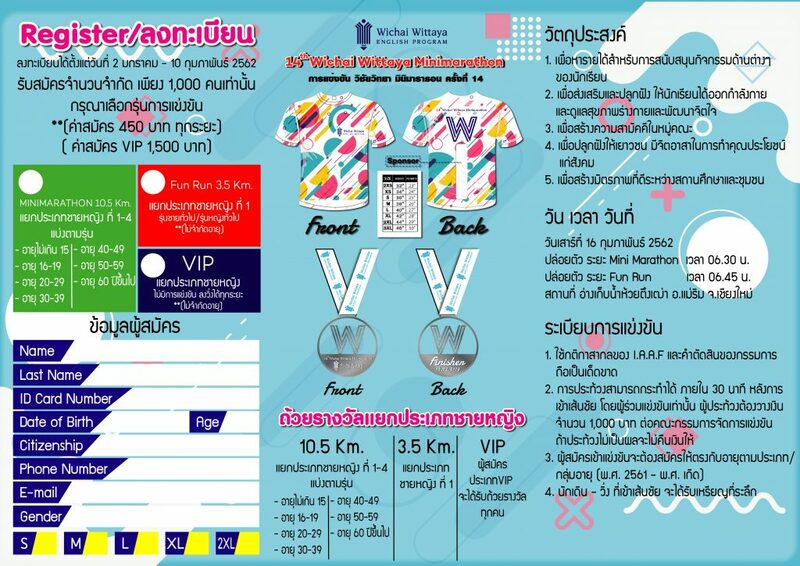 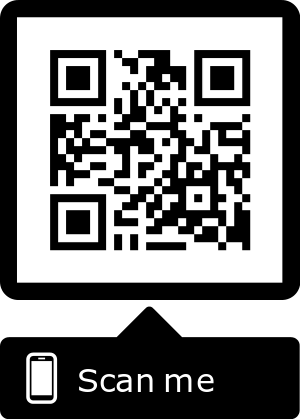 Activities will include metered-races, obstacle runs, fun runs and sprints. 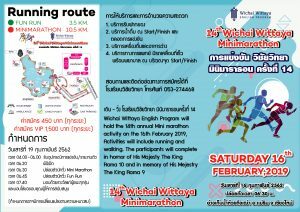 The participants will compete in honor of His Majesty The King Rama 10 and in memory of His Majesty The King Rama 9.